Besides the obvious, what do M&Ms, Kit Kat and Skittles have in common? Strong social performance leading up to Halloween. M&Ms led in terms of highest percentage of fan engagement and top fans by influence, with Snickers running a close second. The most likes went to Kit Kat. Skittles generated the most buzz, with M&Ms coming in second. Hershey’s is catching some social media flak for importing chocolate from England and outsourcing production to Mexico, but the company’s social media team has been quick to comment that chocolate in the U.S. is manufactured in the country. Skittles fans expressed disappointment with the new green apple flavor and want lime back. Other than changing their cover images for Halloween, neither Milky Way nor Kit Kat has posted new content since this summer. Readers: Have you interacted with any Facebook pages for candy brands? 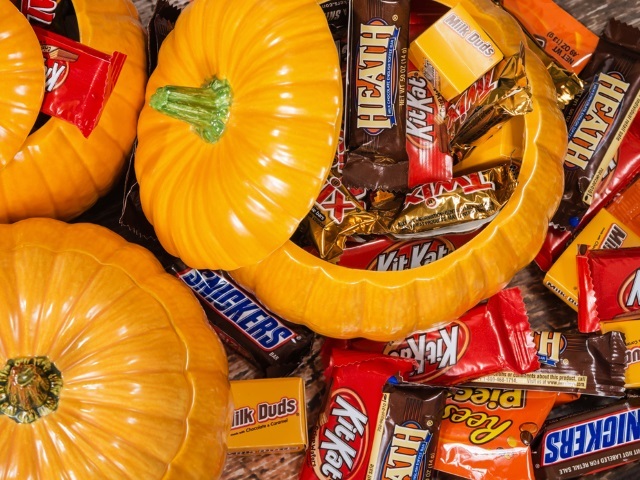 Image of candy in pumpkins courtesy of Shutterstock.